Pictured: Jeff Nemeth, President and CEO of Ford Sub Saharan Africa region, Gauteng's MEC for Economic, Environment, Agriculture and Rural Development Lebogang Maile, Incubatee Graduate Caiphus Mokotedi and Cllr Aaron Maluleka. 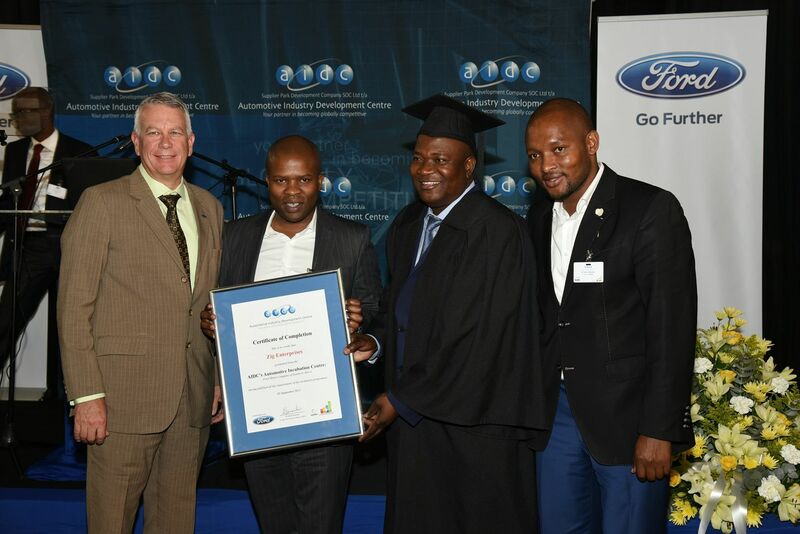 The Automotive Industry Development Centre (AIDC) in Gauteng has produced the first graduate from its Automotive Incubation Centre project at Ford’s Silverton Assembly Plant. The Incubation Programme was established by Gauteng provincial government, in conjunction with the AIDC which is a subsidiary of the Gauteng Growth and Development Agency (GGDA), an entity owned by the provincial government’s Department of Economic Development. 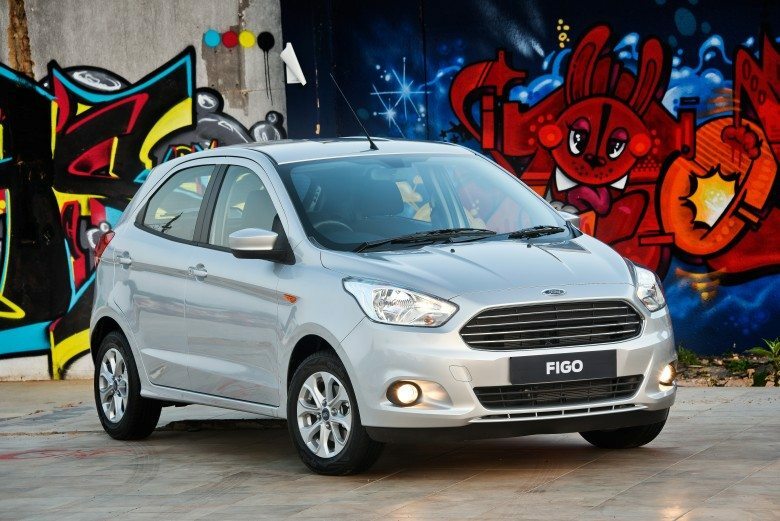 Its aim is to provide manufacturing opportunities for small and medium enterprises to enter the automotive industry. 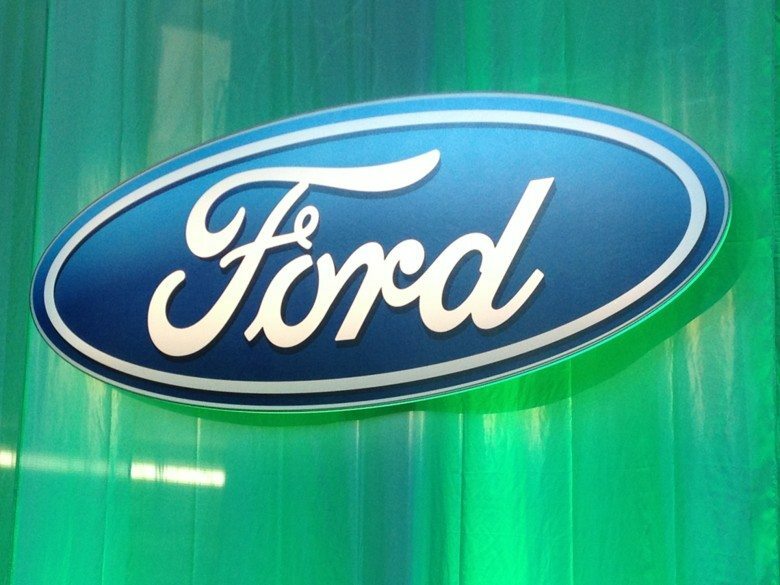 Ford Motor Company of Southern Africa (FMCSA) has proudly been part of this initiative since it was launched at the company’s Silverton Assembly plant in 2011. 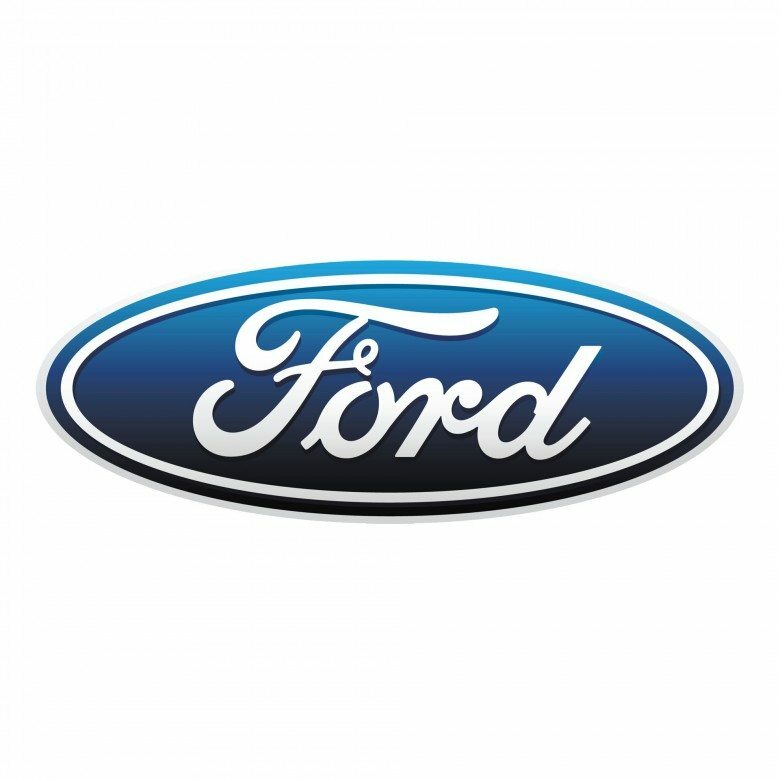 “The incubation programme is focused on enterprise development support to empower SMME’s to run sound and sustainable businesses through structured training and mentoring programmes aimed at giving the entrepreneurs the required technical and business acumen skills,” says Jeff Nemeth, President and CEO of Ford Motor Company of Sub-Saharan Africa. The first graduate of this successful Broad-Based Black Economic Empowerment (B-BBEE) programme is Caiphus Mokotedi. “This project has been an extremely valuable stepping stone for me and I am very grateful for the opportunity that the AIDC and Ford have given me through the Incubation Programme,” Mokotedi says. 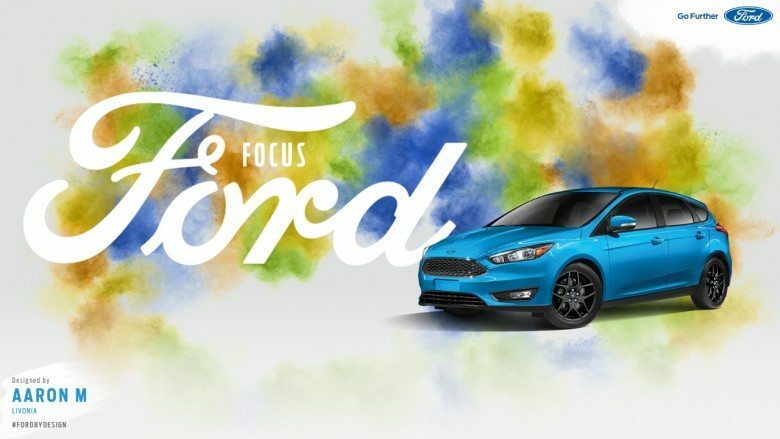 Zig Enterprises, headed by Mokotedi, has been awarded the tender for Ford’s new Vehicle Personalisation Centre (VPC) which is located adjacent to the Silverton Assembly Plant. 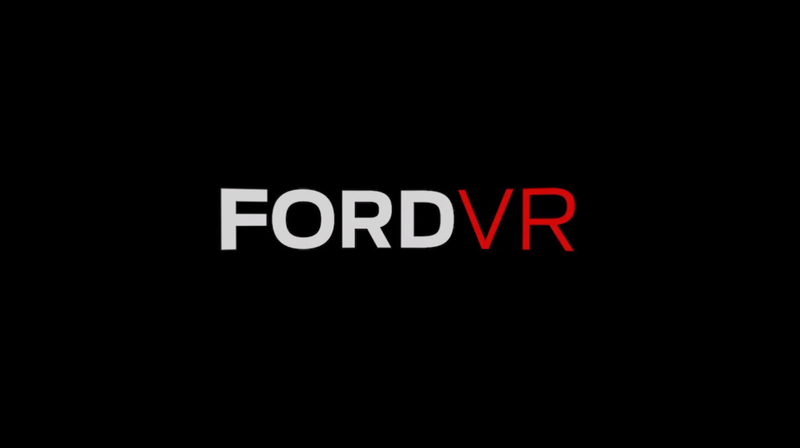 This facility will give customers of the South African-built Ford Ranger the opportunity to equip their vehicles at factory level to suit specific needs and requirements. “In our zeal to enhance the ownership experience, we have gone a step further to delight our customers with personalised vehicles that reflect their distinct style and personality,” says Nemeth. Mokotedi’s recently launched Zig Enterprises will be running the Vehicle Personalisation Centre, which is interlinked with the plant, and is subject to the same error-proofing systems as the manufacturing facility in order to ensure the highest levels of quality. Once the accessories are fitted, the Ranger undergoes the standard final testing and sign-off procedures before being shipped to the dealer. This guarantees peace of mind, with all items fitted being covered by the standard vehicle warranty. A wide range of supplier-branded accessories are available, all of which can be specified when ordering a new vehicle. These include wheel nut locks, spare wheel locks, heavy-duty seat covers and heavy-duty bull bars. Window etching for additional security is also done on-site. 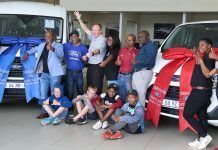 “The Vehicle Personalisation Centre allows our customers to choose from a range of tailor-made options for the Ranger, just as they would select from the available style and option packs when purchasing a vehicle at a dealer,” said Nemeth.